Donated books are crucial to the success of programs supported by The Friends of the Alameda Free Library. Donations accepted on Mondays from 9 AM – 11:30 AM and from 12:30 – 2:00 PM at the Friends’ Book Sorting Room off of the cafe at the Main Library 1550 Oak Street Alameda. 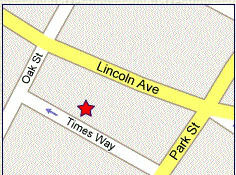 When the volunteers are on site, you can unload your donated books at the side door on Times Way (see map). You can also drop off books in Dewey’s Friends Café. Please place your donation in sturdy bags or boxes. Free off-street parking is available behind the library or across Oak Street in the city hall parking lot. If you have a rare book or a collection of historical interest, you can contact the Library directly to find out if your materials are of interest. Your gift is most welcome and provides a financial benefit to the Library. The Friends accepts new and gently used books, DVDs and CDs. Please DO NOT donate materials that are torn, dirty, water-stained, highlighted or written in, or otherwise damaged. Thank you!